Pinot Grigio gets a bad rap. Yes, there's an ocean of water light, simple wine out there (which I won't turn down on a boiling hot day), but there's also some amazingly rich and nuanced Pinot Grigio up for grabs, too! 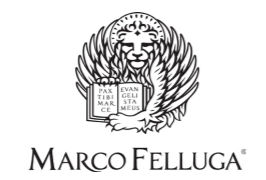 The wines of Marco Felluga in Collio are a stellar example. This wine is from Collio, a small region within Friuli-Venezia Giulia in north east Italy. The name "Mongris" comes from "Gris", the name for Pinot Grigio in Friulu, and "Mon" for single variety. For this wine, the Pinot Grigio grapes undergo a cold maceration with their skins, prior to fermentation of the juice in stainless steel tanks. This skin contact before fermentation and lees contact after fermentation help give the wine a lusciously rich texture. The 2013 vintage Mongris was even featured by Decanter in as one of 13 top Pinot Grigios to try! Review: The Mongris has a pale lemon color with lovely aromas of honeysuckle, lemon pie, ripe pears, and a hint of minerals. The palate is dry with a round, mouth-coating texture and moderate acidity. Flavors of quince, pear, and candied lemon linger for a long finish. Food Pairing: Grilled halibut with a citrus glaze. The fruit in the wine will play well with the fruit glaze, and the texture of the fish will be complemented by the richness of the wine. Bottom Line: Concentrated and complex flavors, outstanding balance and texture. I couldn't ask for more.